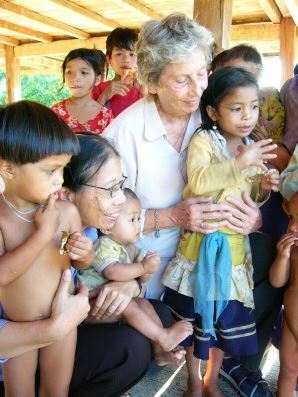 Since 2001, Sisters Agnes Ly Thi Le and Kay Burton have directed the project A Call To Vietnam which ministers to marginalized people in Vietnam. The Sisters of the Holy Names work in collaboration with the Sisters of the Lovers of the Holy Cross in Vietnam. These Sisters provide education to poor families and services for disabled children and adults, pregnant teens, elderly people, and people called to religious life.